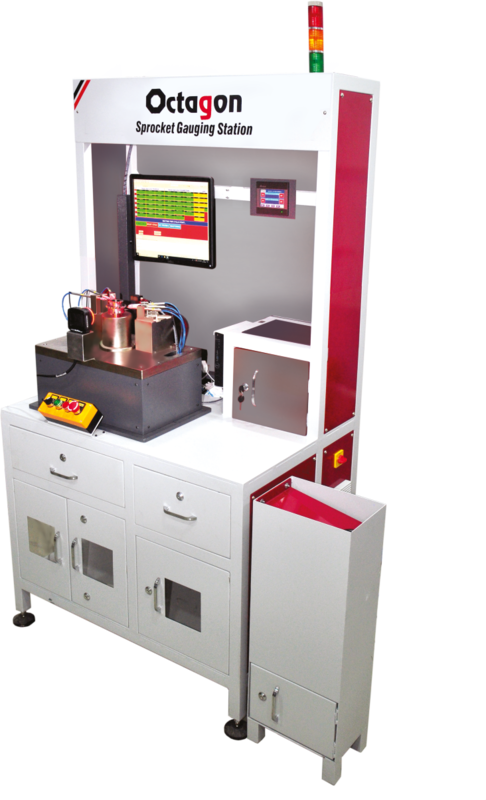 Gauge station designed for installation of multi-gauging system on shop floor. Computer installed for data acquisition, processing, SPC analysis, process monitoring and result display. Data transfer possible with wired LAN / wireless WIFI. Gauging station integrated with optional barcode scanner, part marking system. With rack / cupboard for safe storing of gauging tools and reference masters.